A few years ago my son had an anti-cupcake (gasp!) teacher. She was a very good teacher, but she thought cupcakes were too messy to be eaten in her classroom. She requested that parents send cookies or something less messy than cupcakes for birthday treats. I will admit I was a tad disappointed about not being able to make birthday cupcakes. I guess that I should should have been thankful that the school even allowed home baked treats at all since so many now only allow packaged treats purchased from a store. And some schools only allow healthy treats if they allow treats at all. When my son's birthday came along he decided he wanted to bring chocolate chip cookies. The cookies I made ended up being very soft and gooey, so I sent them to school along with lots of napkins. I'm not sure if they were messier than cupcakes or not, but my son came home from school so excited that day. He reported that all the kids in his class told him they were the BEST chocolate chip cookies they had ever had! So this has been our favorite chocolate chip cookie recipe ever since. Lightly crisp on the outside; soft, chewy, and full of chips on the inside! 1. Cream together the butter and sugars in a large bowl.2. Add the eggs and vanilla and blend well.3. In a separate bowl mix together the flour, salt, baking powder, and baking soda. 4. Gradually add the dry ingredients to the wet ingredients and mix well.5. Gently stir in the chocolate chips.6. Form dough into walnut-sized balls and arrange 2 inches apart on an ungreased cookie sheet.7. Bake at 350° for 9 - 11 minutes or until the edges are light brown. Be careful to not overbake.8. Cool on cookie sheet until set, about 2 -3 minutes.9. Remove to cooling rack to cool completely. Mmm! Cookies!! These look so perfect! i love soft and chewy cookies! i have to try your recipe, they look great! These cookies look absolutely delicious...makes me want a nice cold glass of milk to go with them (and I hardly ever just drink milk!). That's an interesting combination of milk and semi-sweet chocolate chips, and they do look perfect! Oh these look good. Yummy. Oh these sound delicious! I love all the vanilla and the chocolate in these cookies - so good! And your pictures are just beautiful! I'll try this today, because i need to make cookies for an empty jar!!! These look perfect! You have to love a treat that impresses even your son's friends. Mmmm, I could bite into several of those cookies right now! I hope that you will consider sharing these over on my Fresh Food Friday linkup! How could any teacher be anti-cupcake!!! LOL.... And I can totally see why these cookies are your fav! Mmmmm, those cookies look so perfect , I wish I had one right now . These look gorgeous and delicious. I've never combined semi-sweet and chocolate chips together in a cookie but I'll bet it's a wonderful combination. I'd like to invite you to share your recipe on A Well-Seasoned Life's Sweet Indulgences Sunday. Mmm, this is just the way I like my CCCs too. Thanks for linking them up to Sweets for a Saturday. You have a beautiful blog! I think it is just kind of sad that so many schools won't allow people to send homemade treats. Your cookies are so delicious! I'm your newest follower. Great cookies and blog! Thanks so much for stopping by my blog and for following! I am following you back! ooh these do look perfect! Those chocolate chip cookies look divine! I just love the natural cracks atop. 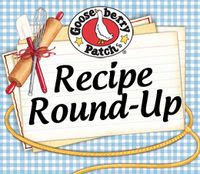 Thank you so much for sharing this great cookie recipe on last week's "Fresh Food Friday/Seasonal Saturday" . . . . what a perfect, yummy addition! I hope to see you again tonight and/or over the weekend with another sweet recipe! Thank you for posting my badge; I'd love to feature you soon! My classroom is both cupcake and cookie friendly, and we would welcome either for birthday celebrations! :) These cookies look yummy! I don't know what the deal with schools is these days... Our district has a "storebought treats only" policy and it's such a bummer! My nephew brought bubblegum as his "birthday treat" last year. Pretty sure the teacher loved that!